you are looking forward to an even better weekend! featuring items that can be found in The Royal Castle Shoppe! it's a private royal selling group on FB you have to ask to join! family member, young or old, male or female (or animal!). But, I took one look at it and it SCREAMED baby boy cards, to me. So, I went with the muse and she didn't do me wrong, not one bit! Excited yet? Well, then, on to the projects! 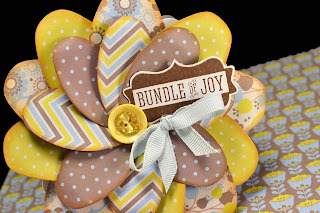 I was so amazed at the way all the patterns in this collection coordinated with each other! The simple color scheme really helps things along; as you see, I was able to use four patterns on this blooming flower baby shower card and they work so well together. I'm in love with this card! 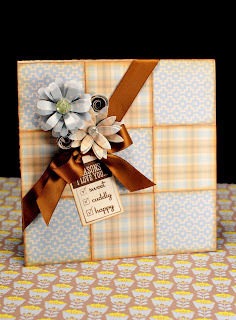 With this card I wanted to show that it is possible to isolate the blues and browns in this collection to be even more baby boy-oriented. 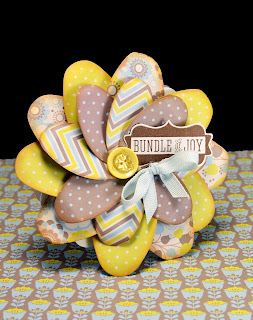 Although I used this collection for two baby themed cards, this collection has no thematic elements, so I could see it being used for lots of different themes. Don't think you have to use it just for baby! Feeling inspired? 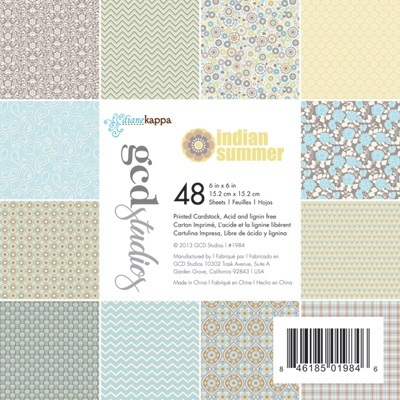 Want to order some GCD "Indian Summer" and assorted buttons for yourself (among SO much more available in the shop)? Head on over to The Royal Castle Shoppe and request and invite! You'll be added (fairly quickly) and you can begin shopping the awesome selection of paper crafting goodies that arrive in there almost daily! I'd love to hear what you think about these projects, so comment away! 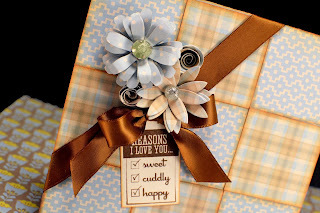 And, stay tuned for more projects featuring other products available in the shop, in the weeks to come! Love your card!! !SUPER CUTE!! !Great image!! !